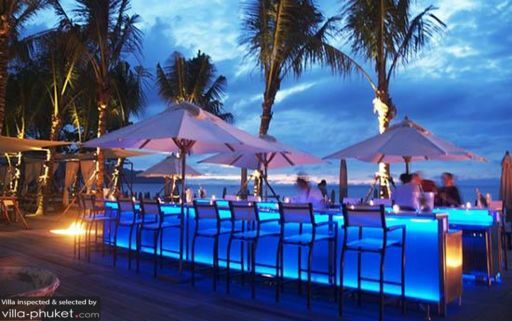 It is not hard to see why Catch Beach Club occupies a top spot in Phuket’s list of best nightspots. Sitting in a fantastic location along the beautiful coasts of Surin Beach, the club hugs close to the shore facing the ocean. At dusk, guests are treated to stunning sunset views over the Andaman Sea. Diners hungry for a bite may feast on a delectable array of Mediterranean food, such as crisp pizzas, refreshing salads and tasty tapas. Travellers who cannot resist aromatic grills dishes should make it a point to drop by on Tuesdays and Fridays for their beach barbecue.